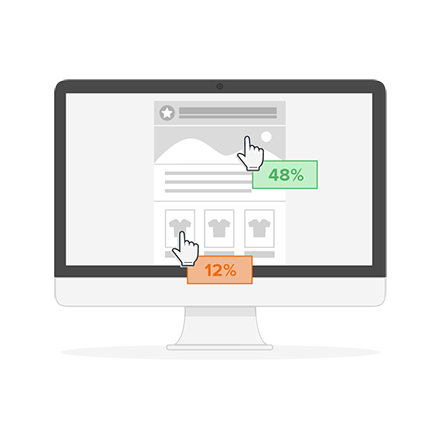 Newsletter Tracking: Click rates, Open rates, Conversions. 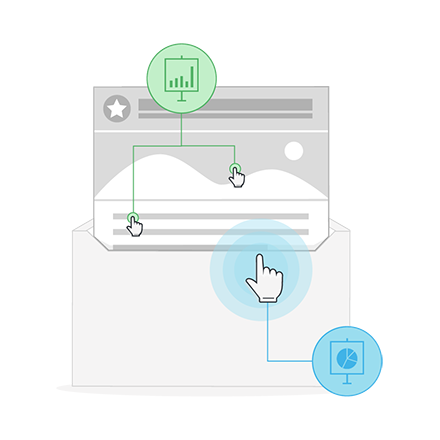 Track the most important statistics of your campaign: open- and click rates. The newsletter software by Newsletter2Go offers you comprehensive analysis and tracking options. 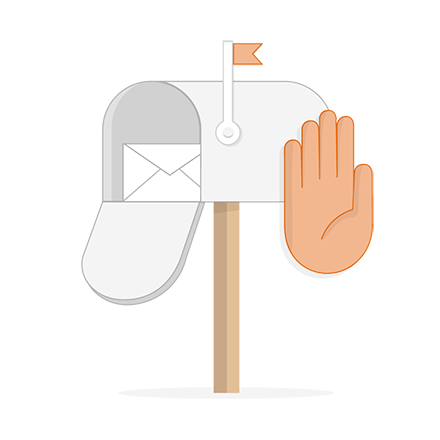 Use them to continually optimise your newsletters and gain fascinating insight into the behaviour and interests of your target groups. With Newsletter2Go’s email marketing software it’s easy to find out how often your newsletter is received and opened. Click on reports and you can see the delivery-, open-, and click rates of your newsletter campaign straight away. Not only is the cumulative click rate calculated, but also the exact number of clicks carried out on each individual link. Therefore you can see how well your email is being received in one go. Our Tip: You can optimise your open rates with the A/B Split test. Tracking the conversion rates of newsletters is a basic must in E-Commerce. Build conversion tracking into your newsletter to measure the conversions and sales that have resulted from your newsletter. With conversion tracking you can measure more than just sales. You can also define criteria for tracking. For example, you can choose to measure the number of times a particular page was opened or the number of registrations that took place on a given page. Learn about how this works in detail here. After sending a newsletter you receive real-time statistics about how many of those sent could not be delivered (bounce rate). The unsubscribe rate tells you how many newsletter recipients have unsubscribed from your newsletter. If the recipient unsubscribes or if the email bounces, Newsletter2Go’s sending software automatically makes sure that this email address is not written to again. The unsubscribe- and bounce rates give you information about the quality of your address list and of your newsletter. Tip: Send as regularly as possible in order to achieve low bounce rates. The reasons for bounces and unsubscriptions can be viewed individually for every recipient. With Newsletter2Go’s email marketing software you can find out which content elements of your newsletter perform best. For this, Newsletter2Go offers you a heat map. This shows you which links in your email were clicked on. Furthermore, you receive the actual figures as well as the results in percentage format. These results are positioned over the individual links in your tracking evaluation, so that you can look at them and gain a clear, visual overview. You can see at once which products were clicked on the most. With this knowledge as your basis, you can improve your newsletter, and the products that you advertise, for future campaigns. 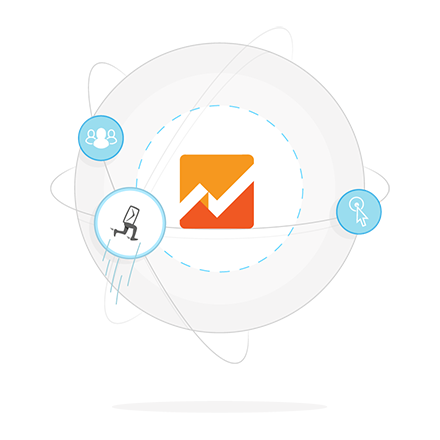 With Newsletter2Go’s newsletter sending architecture you can activate third-party tracking providers such as Google Analytics or econda. With this you can measure the number of visits that have resulted from your email marketing channel. You now have all the important stats in your tracking system. Moreover, the connection is extremely easy. Go to ‘Tracking’ in your newsletter sending settings and activate the relevant tracking system with which you wish to evaluate your newsletter. Clustering. Newsletter evaluation for pros. If you wish to evaluate your newsletter according to specific target groups then you will love Newsletter2Go’s clustering function. This allows you to segment your recipients according to identifying traits and find out how your email divided up the recipients within this given group. Are your open rates particularly high in a particular region? You can find out easily with Newsletter2Go’s Geolocation. This is where your open rates are shown on a map using google maps and are presented in an easy-to-understand way. Would you like to export your newsletter statistics in PDF- or Excel form? With Newsletter2Go you are only one click away. Why not send white labelled reports in PDF form to your customers or superiors? With the Excel export function you have the additional option of obtaining your data in an excel file. This will mean that manipulating and editing your marketing intelligence will become a mere tease. Naturally, it is also possible to export the sent newsletter in PDF form. This can be done at any time and will appear just as it did in the email. So you can always check how the newsletter was put together and what content the recipient received. Read more in our help supplement about E-Mail PDF Export.